Hookedblog posted some street art works earlier today on the blog which we photographed on Saturday and if you needed further proof that things were picking up on East London's streets, we have just photographed this collection of street art images just this afternoon. The new works either went up late saturday/sunday night!! 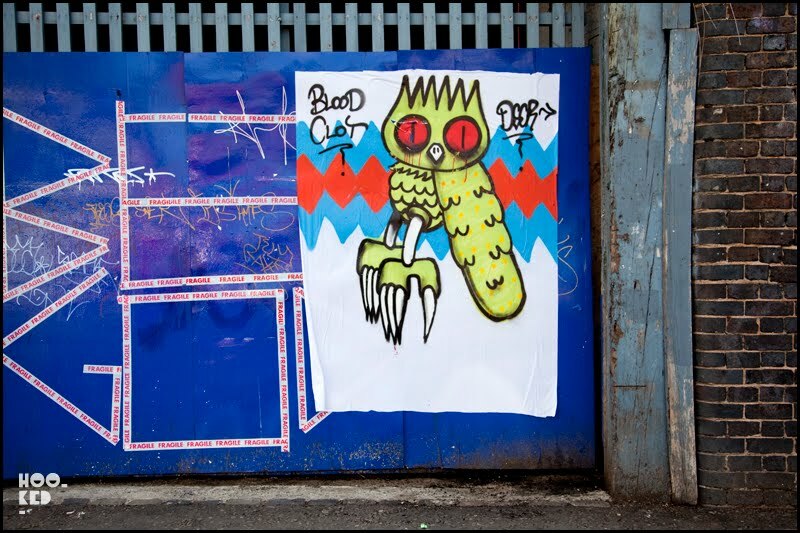 The post features new work from Burning Candy crew member Dscreet, EMA from Sheffield, what looks like the work of WK Interact from New York and a large pasteup from Paris based street artist Monsieur Qui. Check out the collection of images below. 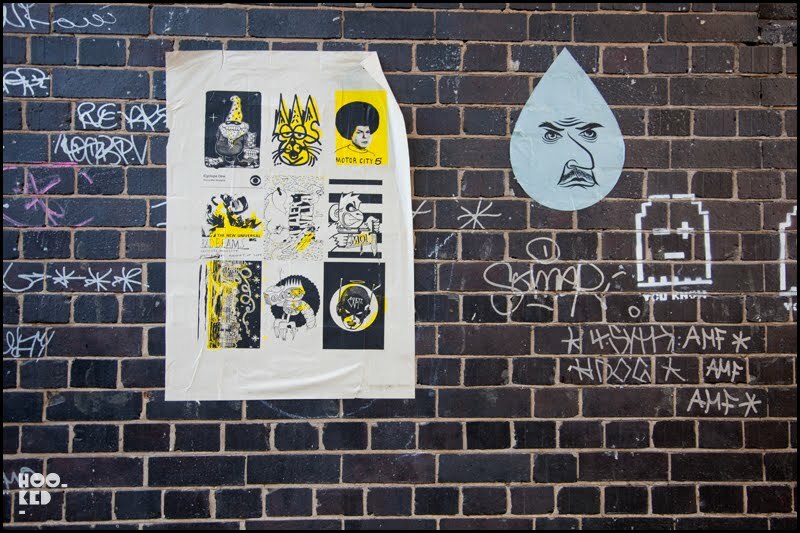 Screen printed Paste-up of therecently released Burning Candy print edition that was made availabe to purchase - also is the photo is the work of French artist EMA who is currently based in Sheffield. 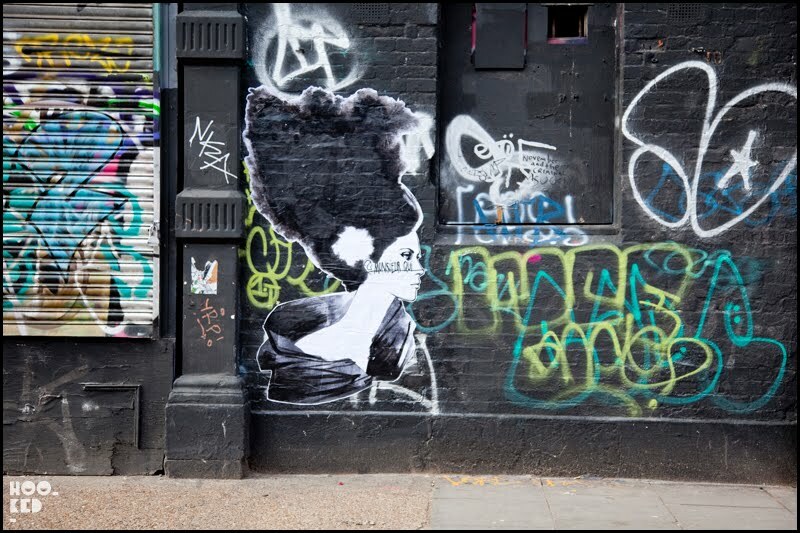 We are not 100% sure on who the artist is on this large scale pasteup on Sclater street, we suspect it might be the street art handwork of New York based French street artist WK Interact who specialises in black and white pasteups of this scale. 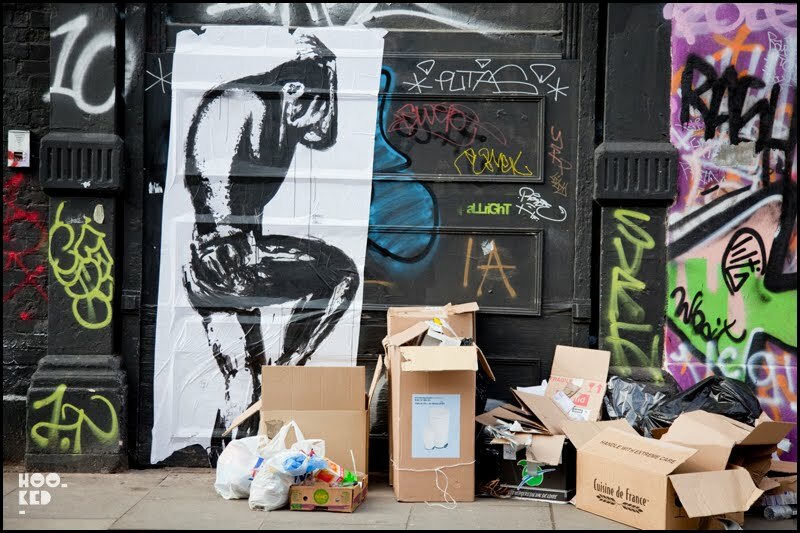 Large scale black and white pasteups by Paris based street artist Monsieur Qui pasted on the corner of Sclater Street / Bethnal Green in East London. Does anyone know who is responsible for the teardrop stickers? There's one shown above with a face on it, but there's several designs I've seen around the Brick Lane/Shoreditch area. My favourite is a yellow drop with a little bluegreen man's head poking through a strange orifice. curious. it's a school project. The guy is a graphic design student called Brian.